"EVERY YEAR THE WOMEN OF NEW YORK LEAVE THE PAST BEHIND AND LOOK FORWARD TO THE FUTURE... THIS IS KNOWN AS FASHION WEEK." Any fashionista will agree that attending New York Fashion Week is a dream... A must-do on their bucket list or a simple fashion career goal. Well, my friends, I had the blessing of being invited not to 1, 2, 3 or 4 shows... but to EIGHT shows at Lincoln Center this year. Yes, eight. For me this was HUGE. I attended last year for the first time and went to one show. This year to have been invited to a total of 8 shows at Lincoln Center was a dream come true for me. This week I will be recapping my experience and bringing you coverage of each and every show I attended along. Next week I plan to do outfit posts and details of what I wore. There are a lot of fashion shows going on through Thursday as well as amazing networking events. I have attended every other day since Thursday so far. And loving every minute of it, but my friends... it is exhausting! Worth it but so tiring, there are tons of people of the streets, photographers, celebrities, editors, tourists etc... it is overall an amazing experience that I am so humbled to be a part of. This is a long post, so bear with me. On Day 1 I attended 3 shows. The first one was Tadashi Shoji, followed by Desigual and ended the day with The Art Institure fashion show. Here are some of my favorite looks from the runway. Note: It is so hard to take amazing pics while trying to enjoy and take it all in. I took a few photos with my phone and all others are credited to online websites below. Desigual was a vibrant and lively! From the fab pieces to the fun music, it was definitely an up beat show and I loved every minute of it. I especially loved some of the boho chic style and the beautiful prints. I could totally see myself wearing any of these. I think what made it more fun is that the models were happy! I don't know about you but I love to see a show were the models are stunningly HAPPY. It gives the whole room such a different feel. And Desigual did just that! There were so cute and sassy girls on this runway! My ultimate favorite look of this collection was the very first look pictured here. The silk pants and gorgeous floral print are just to die for! I need that whole look in my closet. It screams VACATION to me. For this spring Desigual is bringing its signature fun prints and vibrant colors. The designs are meant for fabulous vacations and stunning views... Here are the rest of my favorite pieces for Spring 2014. It was great to have a big break between the last show. I attended with my friend Nadia and we just took it all in and enjoyed every minute of it. We walked around and after these Tadashi Shoji and Desigual we headed to the corner Starbucks to have a late lunch and relax a little. New York City is already so hectic and crazy, just imagine how crazy it gets during Fashion Week. So breaks are definitely necessary! Once done, we headed back to LC for our last show of the day... 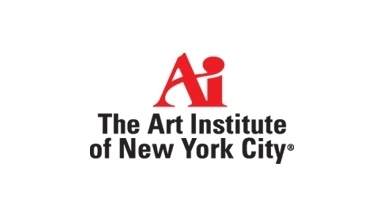 The Art Institute of New York City. The Art Institute featured collections from 10 different students and graduates. I thought this was just such a different and cool show. Something about knowing that these were students truly made me see this show in a different light. It was pretty amazing to see the diversity and detail of each designer. Every collection was very different from each other. They all had there own voice and it definitely showed. The ending was the best for me. Michael Doyle killed the runway! His style is very avant garde, very Galiano! And I just know he will be in some of the finest runways of the world. To tell you how much people loved his collection.... there was a standing ovation for him. Simply fabuloso! Here are some of my favorite from this extensive show. I hope you enjoyed my coverage of what my experience was on Day 1 of the oh-so-famous New York Fashion Week. It was a ton of photos and pictures to sort through. So I made a summary of my faves and brought you my highlights. I will be posting all week about the other shows I attended so stay tuned. Are there any shows you would love to attend? Or you went to? My ultimate dream fashion show to attend would have to definitely be Oscar de la Renta and Carolina Herrera, hands down. Maybe with a lot more work and perseverance... I will get there! Have a sweet and fashionable night my sweets.